Q: In your day job, you are a professor of history and science at the University of Southern California and have focused on alchemy in your research. What aspects of this intersection between science and magic do you hope readers will pick up on while reading THE BOOK OF LIFE? There’s quite a bit more lab work in this book! Q: Much of the conflict in the book seems to mirror issues of race and sexuality in our society, and there seems to be a definite moral conclusion to THE BOOK OF LIFE. Could you discuss this? Do you find that a strength of fantasy novels is their ability to not only to allow readers to escape, but to also challenge them to fact important moral issues? Q: From the moment Matthew and a pregnant Diana arrive back at Sept-Tours and reinstate themselves back into a sprawling family of witches and vampires, it becomes clear that the meaning of family will be an important idea for THE BOOK OF LIFE. How does this unify the whole series? Did you draw on your own life? Q: While there are entire genres devoted to stories of witches, vampires, and ghosts, the idea of a weaver – a witch who weaves original spells – feels very unique to THE BOOK OF LIFE. 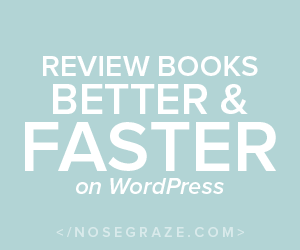 What resources helped you gain inspiration for Diana’s uniqueness? 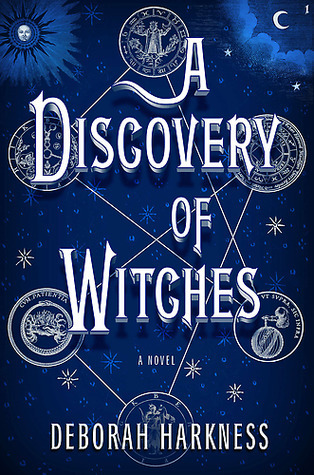 Q: A Discovery of Witches debuted at # 2 on the New York Times bestseller list and Shadow of Night debuted at #1. What has been your reaction to the outpouring of love for the All Souls Trilogy? Was it surprising how taken fans were with Diana and Matthew’s story? Q: Diana and Matthew, once again, move around to quite a number of locations in THE BOOK OF LIFE, including New Haven, New Orleans, and a few of our favorite old haunts like Oxford, Madison, and Sept-Tours. What inspired you to place your characters in these locations? Have you visited them yourself? Q: Did you know back when you wrote A Discovery of Witches how the story would conclude in THE BOOK OF LIFE? Did the direction change once you began the writing process? Q: A Discovery of Witches begins with Diana Bishop stumbling across a lost, enchanted manuscript called Ashmole 782 in Oxford’s Bodleian Library, and the secrets contained in the manuscript are at long last revealed in THE BOOK OF LIFE. You had a similar experience while you were completing your dissertation. What was the story behind your discovery? And how did it inspire the creation of these novels? Q: Shadow of Night and A Discovery of Witches have often been compared to young adult fantasy like Twilight, with the caveat that this series is for adults interested in history, science, and academics. Unlike Bella and Edward, Matthew and Diana are card-carrying members of academia who meet in the library of one of the most prestigious universities in the world. Are these characters based on something you found missing in the fantasy genre? 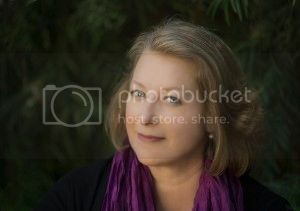 Deborah Harkness exploded onto the literary scene with her debut novel,A Discovery of Witches, Book One of the magical All Souls Trilogy and an international publishing phenomenon. The novel introduced Diana Bishop, Oxford scholar and reluctant witch, and the handsome geneticist and vampire Matthew Clairmont; together they found themselves at the center of a supernatural battle over an enchanted manuscript known as Ashmole 782. My life has been a series of left turns that nevertheless took me in the right direction (though it didn’t always seem so at the time). I went to college to be a theater major and ended up studying the Renaissance. I went to grad school to become a college administrator and loved to teach so much I became a college professor instead. I thought I wanted to be a Tudor-Stuart historian, and found myself a historian of science. I started blogging because a friend needed help on a project in 2006 and am still blogging about wine today. I started writing a novel in the fall of 2008, and it became a New York Times Bestseller in February 2011: A DISCOVERY OF WITCHES. 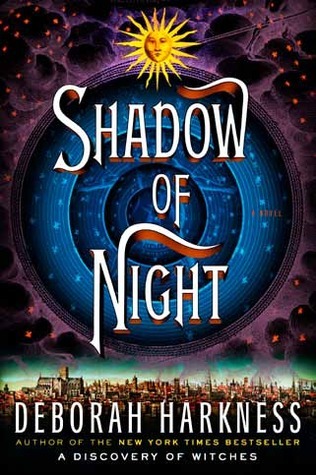 The second volume in the All Souls Trilogy, SHADOW OF NIGHT, came out in July 2012 and debuted at #1 on the NEW YORK TIMES Bestseller’s List. What’s next? The final volume of the trilogy, of course: THE BOOK OF LIFE, coming July 15 2014 to the US, UK, Canada, and Republic of Ireland. 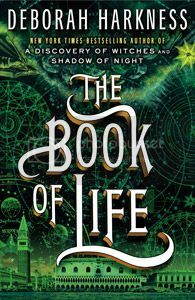 Exclusive Excerpt & Giveaway: The Book of Life (All Souls Trilogy #3) by Deborah Harkness !! I loved this trilogy. The world was wonderful. 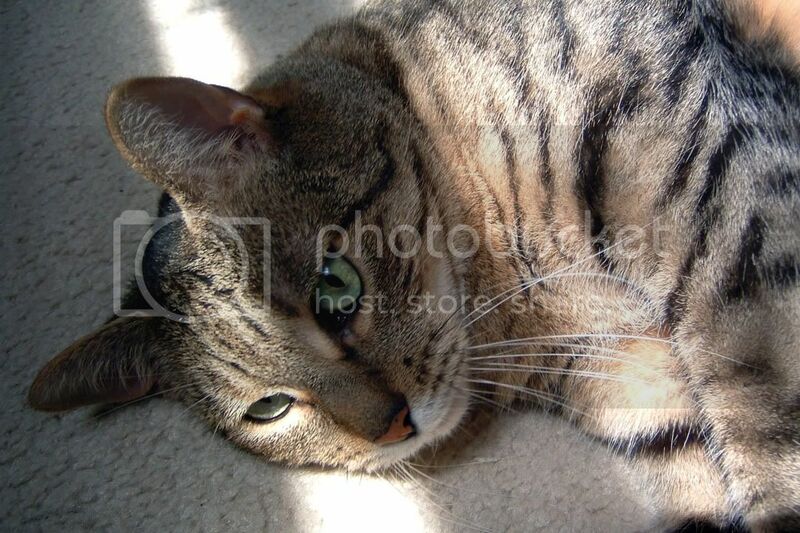 Characters were loveable. Just an all around great story. Loved the interview. I read Discovery of Witches and loved it, and have book two on my kindle. 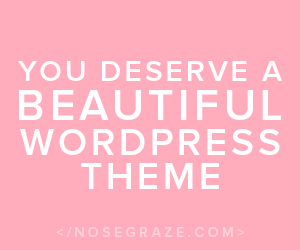 I can’t wait to get to the conclusion as so many other bloggers have praised it. Melissa, I have to say while I loved reading this interview and Ms. Harkness’s intriguing answers, you have written some incredibly original and well-thought-out questions, so kudos to you for a great job all around. I highly recommend this trilogy to all readers! This is great to read- thanks! I just finished (and loved) A Discovery of Witches, and can’t wait to get to Shadow of Night and The Book of Life.